Cooler air, pumpkin pies and the bustle of holiday shopping are upon us! 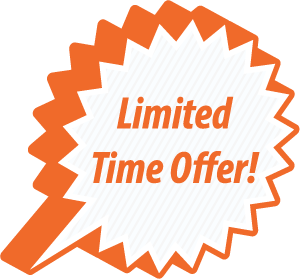 You will love the specials we have in this month’s e-zine! Daylight Savings Time ends, so you get an extra hour to experience your favorite treatment at the Wellness Center! We honor and give recognition to all of the men and women who have served and are currently serving in the U.S. armed forces on Veteran’s Day. 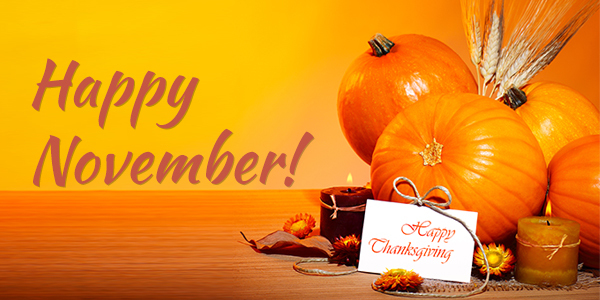 On the fourth Thursday of this month, we are grateful for our blessings and gather together with family members and dear friends to celebrate Thanksgiving Day. Remember to check out all the great savings and added value we have for you in this month's newsletter! Giving a Wellness Gift Certificate to your loved one is one of the most popular gifts to give! Have an enjoyable holiday season from Five Element Wellness Center! 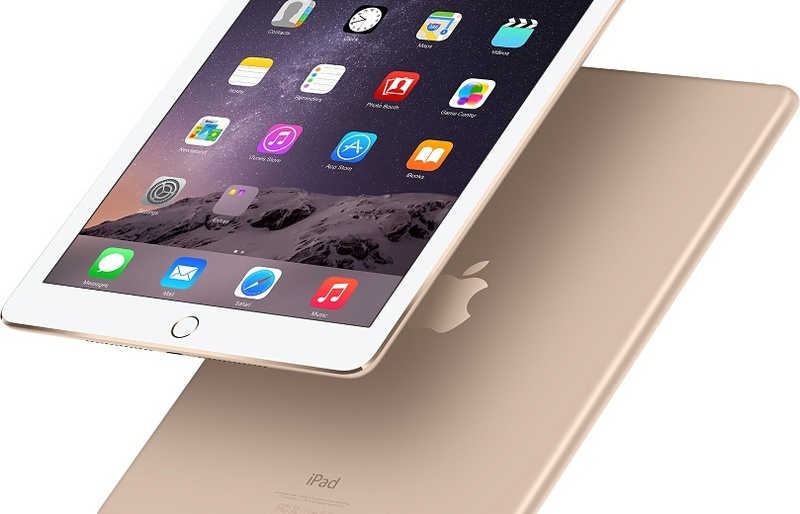 Starting on October 10th to December 22nd, the patient who refers the most clients to Five Element Wellness Center will receive an Apple iPad Air II 16 GB! So, start referring for your chance to win an Apple iPad! Spa gift cards are one of the most popular gift-giving ideas! 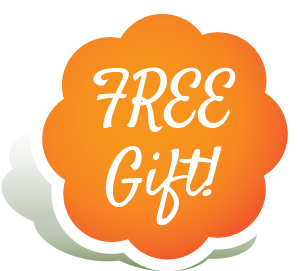 receive four $25 Gift Cards = $100 FREE*! You can give these four $25 Gift Cards to people you know and care about, such as family members, your child’s teachers, your mailman, etc.! Good on Black Friday Only! 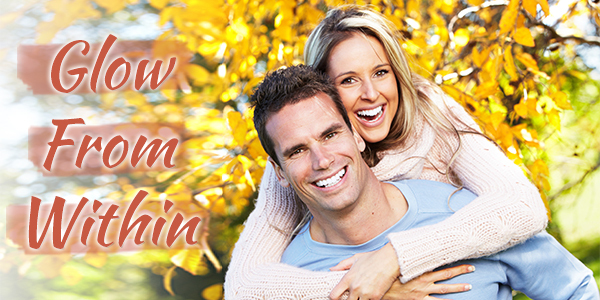 Do you want to have glowing skin for the season? 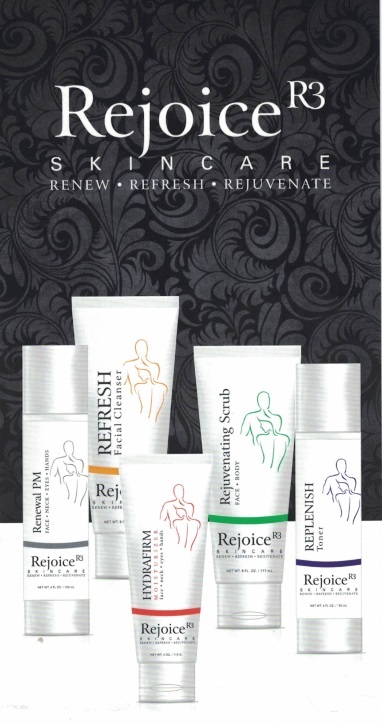 Five Element Wellness Center is pleased to announce our Newest Skin Line: Rejoice! Rejoice is a daily skin care line for men and women. It contains the most scientific, revolutionary ingredients combined to protect the skin from aging, reduce the depth of wrinkles and improve texture as well as brighten and reduce sun damage and age spots. Each product offers multiple benefits and can be customized for your skin. 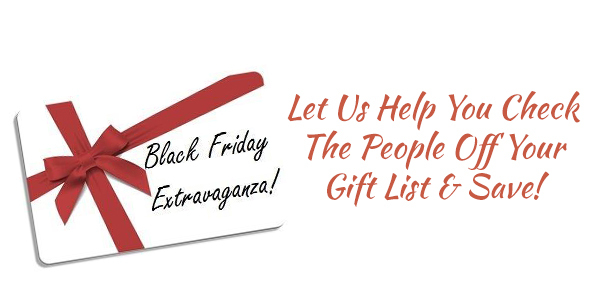 * Each Gift Card must be used one at a time or given to friends and family members! It’s all about looking great in that Little Black Dress! Reserve a series of 10 Endermologie Treatments and receive a complimentary MesoDerm Cream! Are you looking for no downtime treatments to help you look younger? Looking younger is easier than ever! There are many options…but how do you know what is best for you? Reserve now! 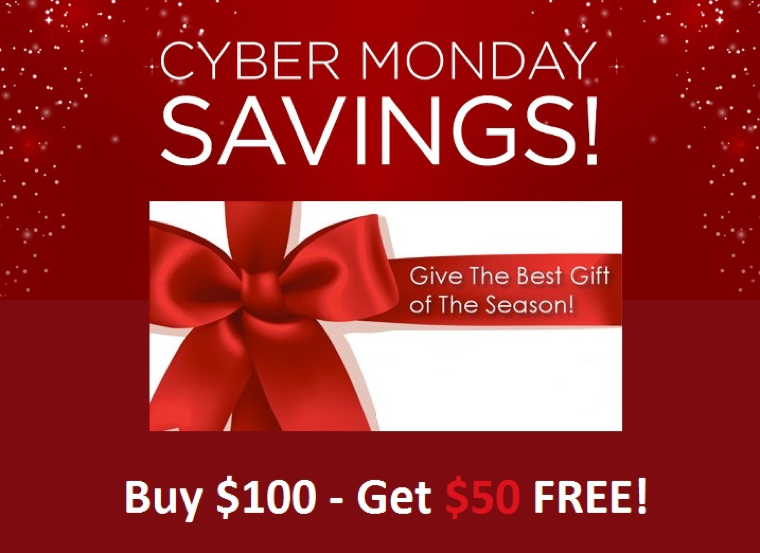 Mention this email and receive a Special Gift! Is all the holiday shopping stressing you out? Time for a Time Out! 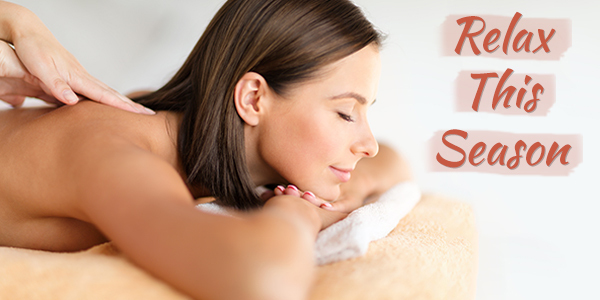 Experience a massage and escape from all the madness. 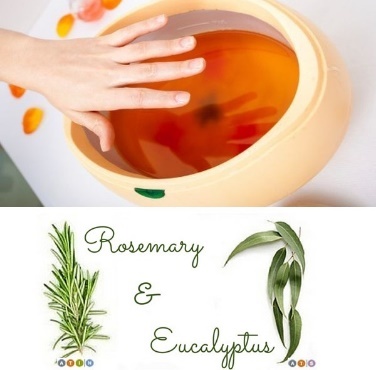 Reserve your massage and receive a complimentary Eucalyptus & Rosemary Paraffin Treatment before your massage! Everyone knows that the key to avoiding weight gain is to eat in moderation, avoid high calorie foods and to exercise regularly. However, with the holiday season just around the corner, many of us will find ourselves surrounded by festive foods, delectable desserts and delicious drinks - many of which are hard to resist. 1. Stick To A Regular Sleep And Exercise Routine. Sometimes, feeling tired or stressed is mistaken for feeling hungry. Exercising regularly each week and getting 7 to 9 hours of sleep every night will stave off hunger pangs. 2. Take It Easy On The Alcohol. Most people don’t realize that alcoholic beverages contain quite a few calories that contribute to excess weight gain when consumed in large quantities. Drinking seltzer with a fruit twist or a glass of water between alcoholic drinks helps to cut calories and will keep you hydrated. 3. Eat Small Nutritious Meals. It's a common misconception that you’ll lose weight by skipping large meals. The truth is, your metabolism actually slows down, causing your body to store fat if calories are limited for too long. Eating smaller meals a few hours apart will prevent you from overeating later. 4. Reach For Veggies, Fruit Or Crackers. If you get hungry at a party, reach for the vegetables and fruit platter or nosh on some crackers as these snacks are filling and you won’t be as tempted to eat the high calorie-laden foods. 5. Eat Slowly And Chew Your Food More. It takes about 20 minutes for your stomach to register that it’s full and to signal your brain that it's had enough. Slow down and listen to your body. 6. Eat Foods Containing Protein. Quality protein includes lean meats, seafood, chicken, turkey, eggs, yogurt and low-fat cheeses. The protein in these foods will help you feel full and work well to control your appetite. 7. Avoid Eating High Calorie Foods. This is actually easier than you think! By substituting foods high in calories with whole grains, steamed vegetables and baked lean meats, you’ll feel more satisfied at every meal and won’t crave calorie-laden starches, sauces or fried foods. 8. Always Remain Positive And Determined. If you do “fall off the wagon” and have a bad food day or forget to exercise, don't worry about it! Just get back on track the next day and continue on from there. 9. Take Your Supplements. Since some people don’t consume certain foods often enough or on a consistent basis, taking your vitamin supplements regularly will ensure that you’re getting the appropriate nutrients and in the proper amount. 10. Reserve A Body Wrap. Scheduling body wraps once or twice a month is a healthy and easy way to lose inches while you hydrate and detoxify your body. 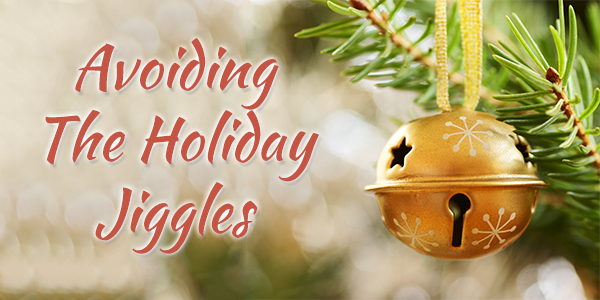 Avoiding the holiday jiggles this season will be easier if you follow these helpful suggestions - and who knows? Maybe, this January 1st will be the year that your New Year's Resolution doesn't include wanting to drop those extra holiday pounds! After the traditional Thanksgiving Day feast, there will be plenty of turkey leftovers. 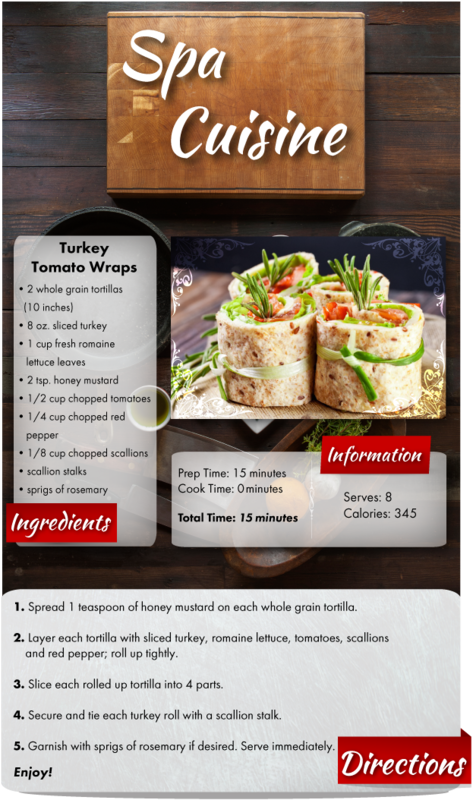 Get creative with this delicious and healthy Turkey Tomato Wraps recipe that is quick and easy to make. Serve these flavorful appetizers at your next party or get-together!